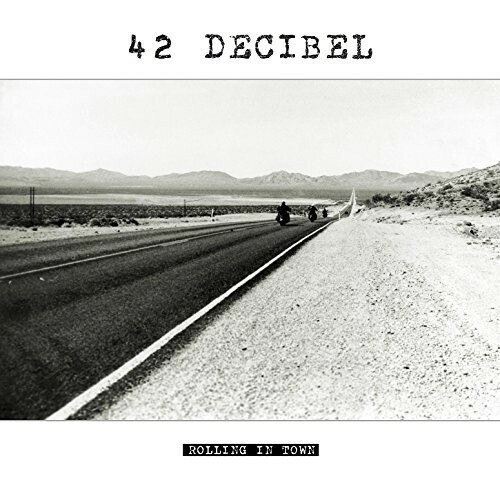 It will come as no surprise to find that 42 Decibel, a four-piece band from Caballito (a barrio of the Argentine capital, Buenos Aires) are purveyors of Classic Hard Rock in the vein of AC/DC. 'Rolling In Town' is the sophomore album and continues the style that is unashamedly seventies Hard Rock. The main reasons for the AC/DC comparisons are Junior Figueroa's raspy vocals that are akin to the late, great Bon Scott. Figueroa not only takes lead vocals but also lead guitar duties ably supported by Billy Bob Riley on rhythm and slide guitar, newest member Matt Fraga on bass and original founding member Nicko Cambiasso on drums. Album opener 'Can't Keep Control' races out of the traps full of aggression and attitude, followed by 'Short Fused' that is the sort of dirty Rock 'n' Roll that most of us Hard Rock fans know and love. 'Rude And Fast' is a no-nonsense, foot-to-the-floor Hard Rocker similar to Accept's classic 'Breaker'. The first song dedicated to drinking is 'Drop Of Booze'. Riley's slide guitar features heavily on 'Burning Down The Road' complete with a Southern-style riff from Figueroa. 'Eye Of The Hawk' with its tasty riff and equally glorious guitar solo is reminiscent of bands like Rose Tattoo, Rhino Bucket and Junkyard. The second drinking song to feature is the "tongue in cheek" 'Down The Hatch' that has a very Aussie feel to it and is probably the closest in style to the band's 2013 debut album 'Hard Rock 'N' Roll'. 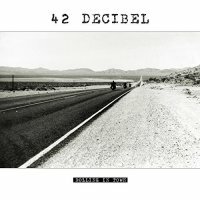 The band has released the foot-stomping 'Midnight Teaser (Evil Woman)' as the first video single and it perfectly sums up what 42 Decibel are all about. The Western-inspired 'Cold Steel Rider' clocks in at seven minutes and is made all that more impressive when you discover it was completed in one-take in the studio; the vocals do not even start until just under three minutes in. The album concludes with the very laid-back Blues of 'Smooth Talker'.